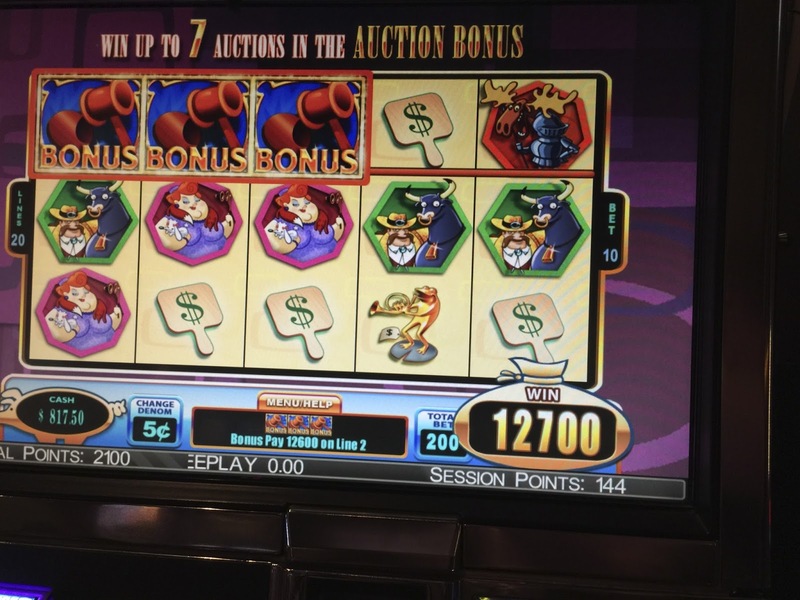 LAS VEGAS DAZE: Vegas in May or Yourstarla Wins Big! Vegas in May or Yourstarla Wins Big! I wasn't going to Vegas in May, my plan was to save my bankroll for June and July but when some of my friends, SDGuy, Dan (Dproxima) and Brent (BrentWolgamott) who have youtube slot channels scheduled a trip and then my friend Gwen agreed to go at the same time, there was no way I wasn't going. Shocker, right? This trip was three nights at Aria. 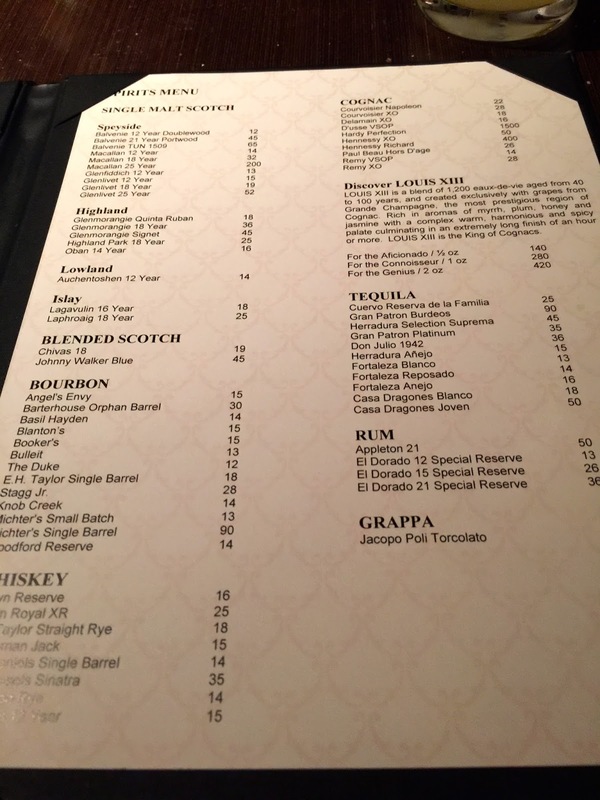 I had a fabulous offer from Mandalay Bay I was going to use but SDGuy and Gwen convinced me I was silly to stay so far away from Aria when everyone else was staying there so I did the smart thing for a change and stayed at Aria and saved the MB offer for a future trip. 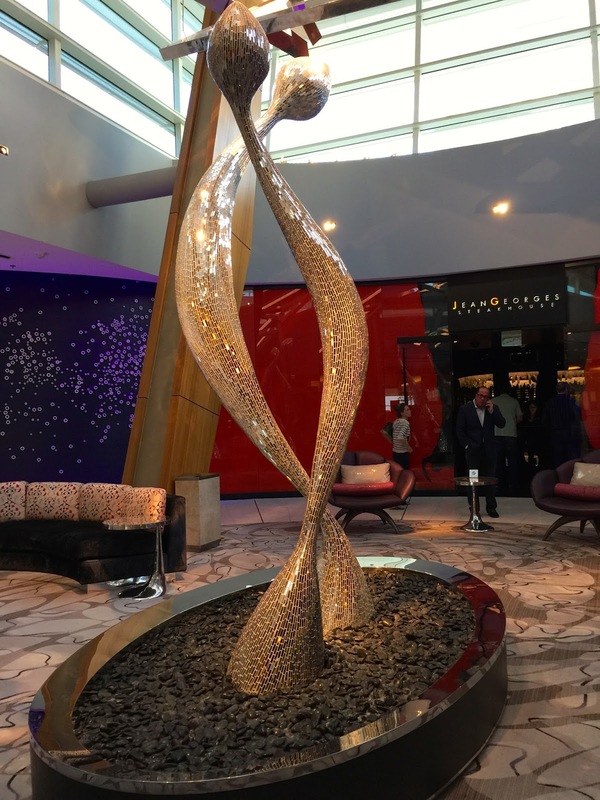 Gwen was the first of us to arrive in Vegas and check in to Aria! Turns out that the early arrival wins the money! While I was still in the airport waiting to fly off to Vegas Gwen had already hit her first jackpot for the trip of 6K!!! Check in at Aria was easy as there were no lines at the time I arrived and my room was ready! I quickly unpacked and was down in the casino meeting up with Gwen. The first thing I said to Gwen after congratulating her on the fabulous jackpot she won on Ultimate X was lets go play the new Friends slot. Gwen had already tried it out and led me right to it and surprise there was Derek and his wife Amy playing it! 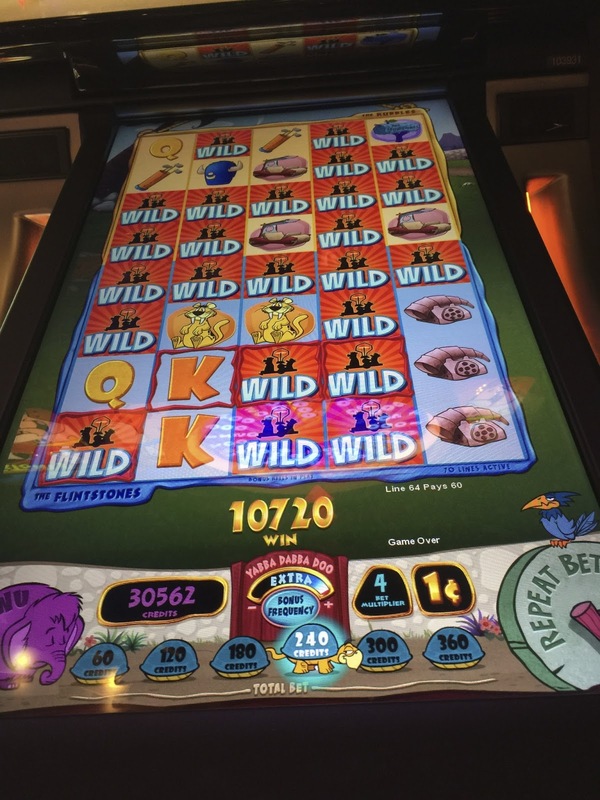 Derek is dvandentop on a couple online forums (JWE and VMB) and writes some great live trip reports and also shares his slot bonuses on youtube. Amy and Derek were at the large Joker's Wild Emporium Forum Meet I attended in Vegas in April and are also going to be at the Meet I'm going to in June at Lake Tahoe. 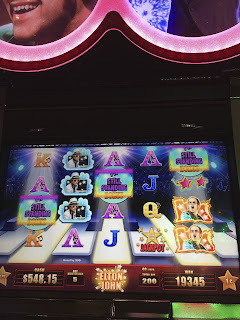 Gwen and I went around to the other side of Friends and found seats there and had some fun playing this slot together but no big wins on it. Derek on the other hand had a few good bonuses on Friends! 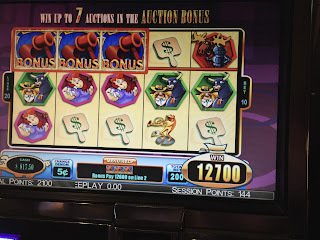 Moving on from the Friends slot, Derek showed Gwen and me the new slot that combines Quick Hit with the Triple Slots like Triple Trouble which this new slot has replaced in the casinos. Gwen had two or three bonuses that paid well, while I had one that was just okay. As I was finishing up my bonus who came up to surprise us but Dan (dproxima)! After quick hugs Dan went to drop off his luggage in his room with promises to catch up soon in the casino. After we said goodbye to Derek and Amy who would be going to the Rock in Rio concert that evening, we played the Walking Dead slot. 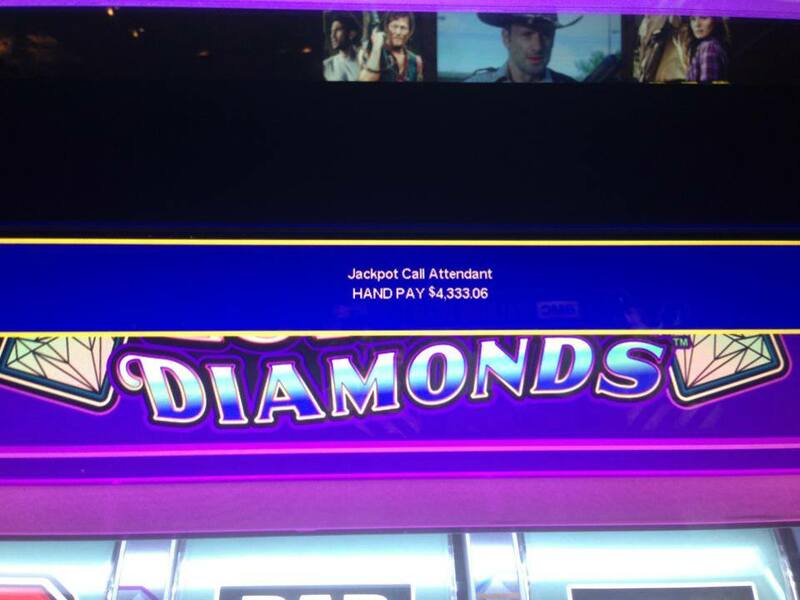 I was getting a couple weak bonuses on WD but Gwen wasn't getting any and decided to play the Monopoly Luxury Diamonds Slot nearby. I soon joined her at this slot and while I had a hit for $144.00 Gwen was getting lots of bonuses. 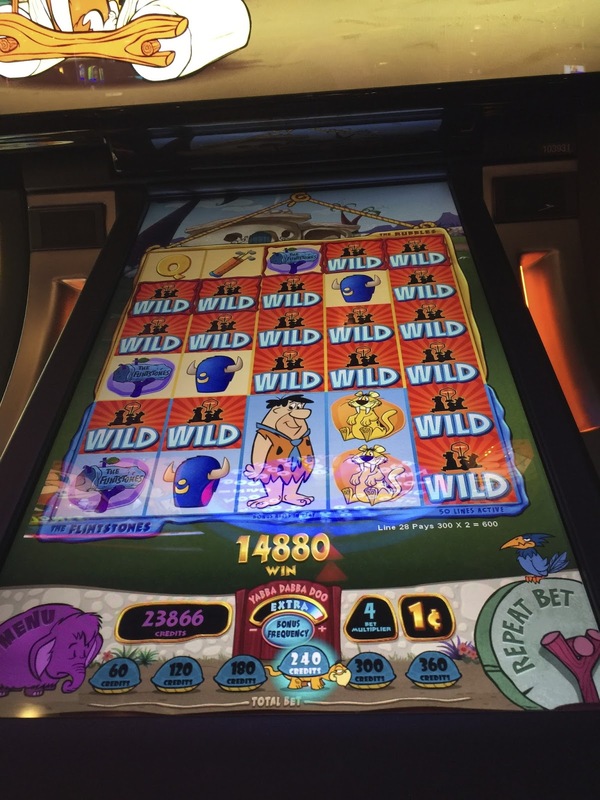 All of a sudden after my hit above Gwen gets another bonus and it lands on Jackpot! 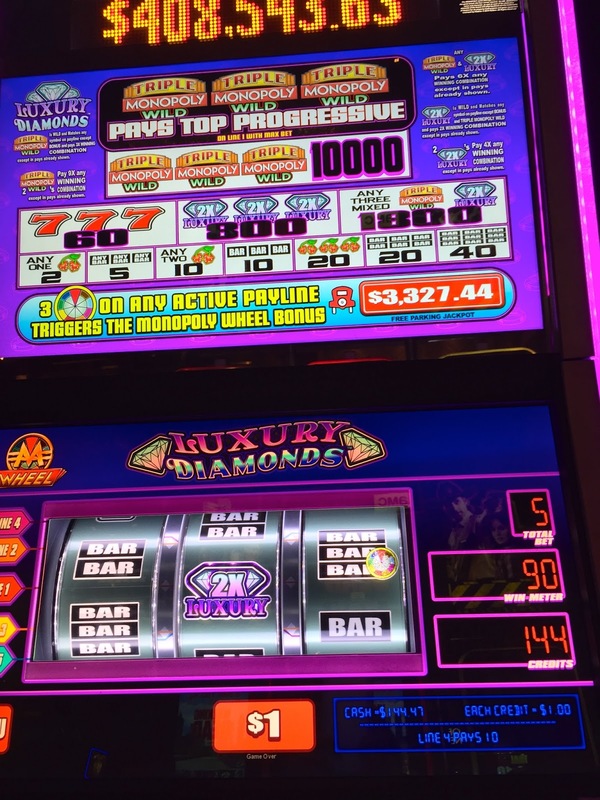 Gwen's 2nd handpay of the day for over $4,000!!! 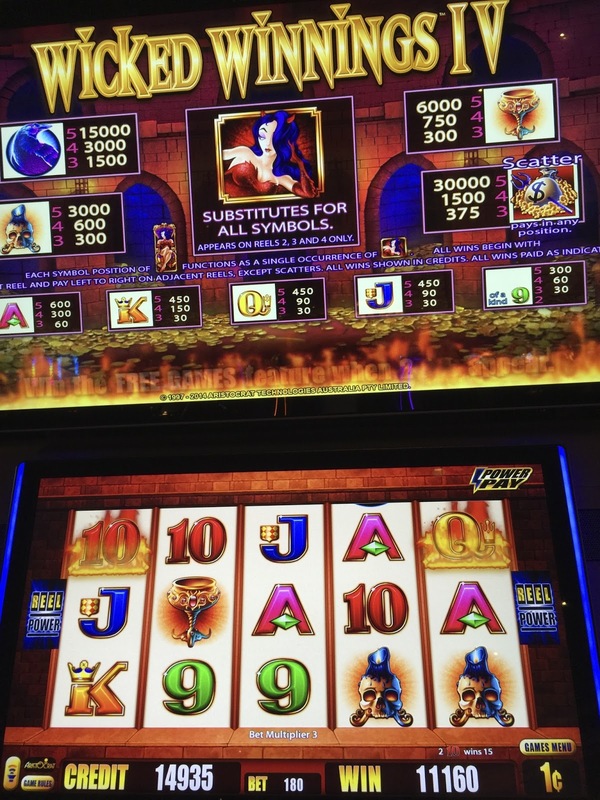 After Gwen's jackpot I slunk off (LOL) to the quarter slots where no luck was to be found, at least not by me. After my fail on the quarter slots I met up with Dan and we played one of my favorite new slots together, Elton John! While we were playing fans of our youtube channels, Leslie and Keith from Walnut Creek, CA saw us and we had a nice chat with them. Dan and I continue to play Elton John until SDGuy sent him a text that he had arrived and to meet him at MGMGrand to walk with him to Aria. Why the walk, SDGuy likes to walk. ;) Before Dan left I had my best hit of the trip on Elton John for $459.00! 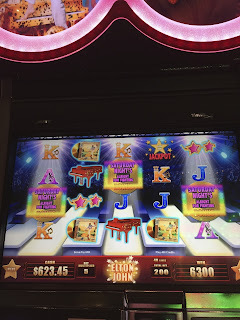 After Elton John I continued to play various slots but wasn't winning much. I was about ready to go up to my room before dinner when I hit a great bonus on Lord of the Rings for $240.50 and during the end of the bonus Brent found me and said hi on the way up to his room after checking in! So all of us have arrived and it's time for Gwen and me to go to dinner while the guys I assume are settling in and gambling. 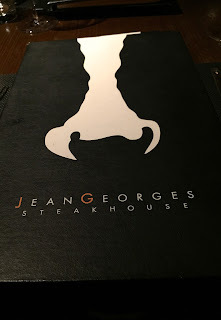 Gwen treated me to a great dinner at Jean Georges Steakhouse for our first meal of the trip. This is my fourth time eating there and tonight it was packed so we ended up with a two top in the center of a group of tables. 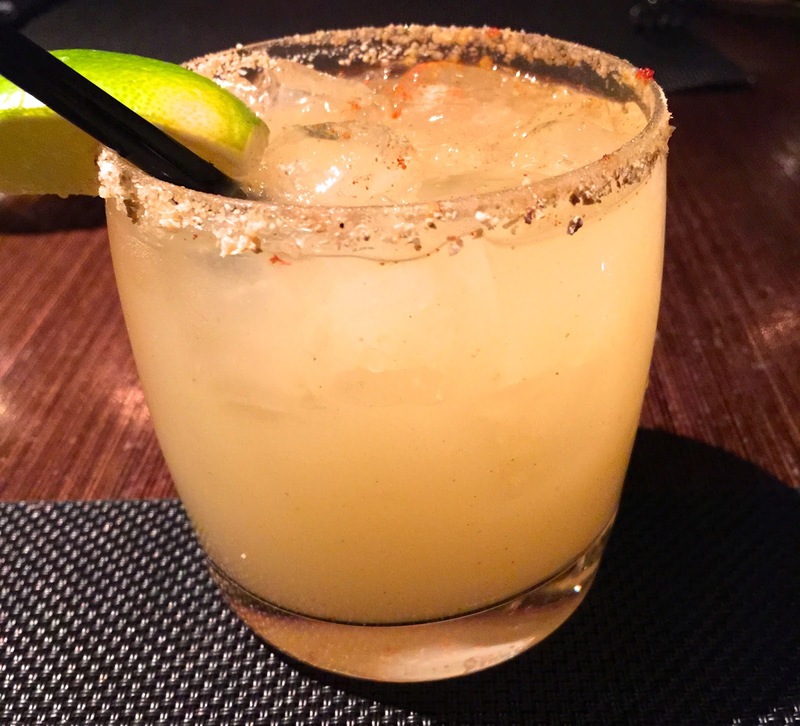 I started out with a spicy cocktail that had thai chilies in it but it's a fail on remembering the name. Bread basket was good but not as great as Cut's choices of bread. Gwen's starter was the Spring Pea Soup with Marcona Almonds but without the smoked bacon it normally comes with as Gwen doesn't like bacon. As many restaurants now do, it was served with the ingredients dry and the mixing of the broth done as a presentation. 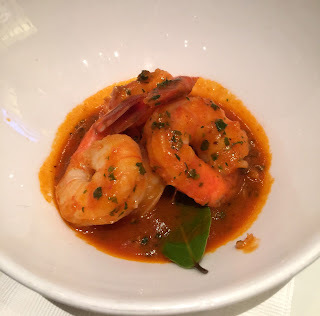 When I eat at Jean Georges my starter is always going to be the Bacon Wrapped Shrimp. This time it was served with crushed peas, wasabi and avocado. Gwen's entree was the Crunch Organic Chicken with Spinach and Buttery Hot Sauce. Gwen said it was good and had some nice heat to it, but wasn't the best fried chicken she has had. While she didn't come right out and say it, I suspect she was thinking her chicken at Venetian's Yardbird restaurant was better. 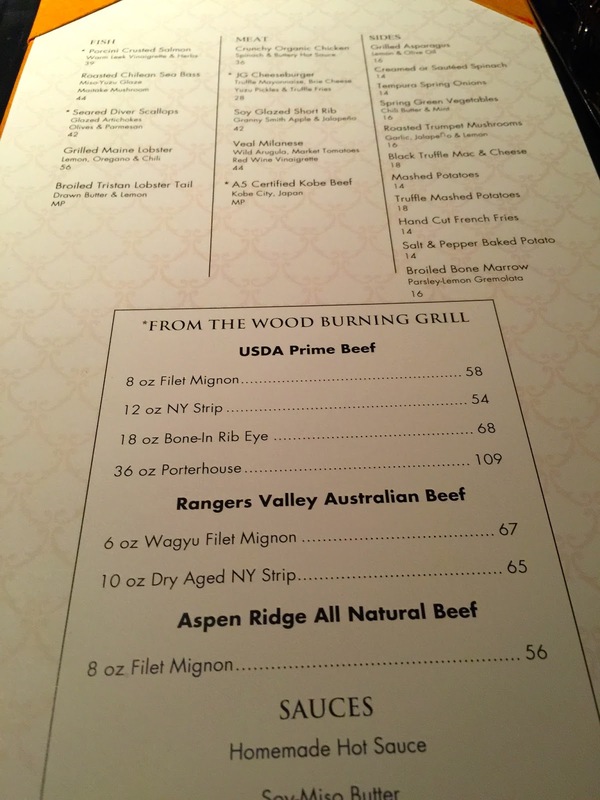 The side of grilled asparagus was fine. It's all about the Roasted Chilean Sea Bass with me when I eat here and once again it was great. Love the Miso-Yuzu Glaze and the Maitake Mushrooms! 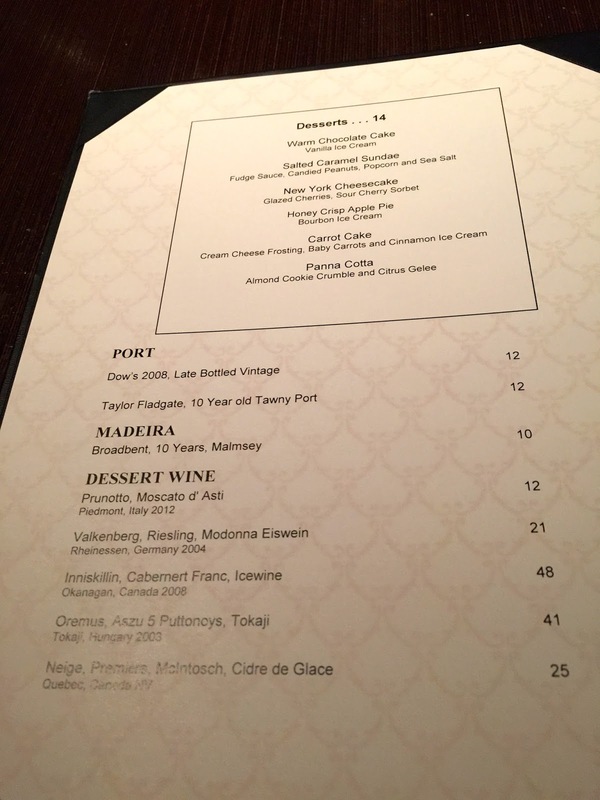 You know I'm not passing up on desserts! Gwen had the Honey Crisp Apple Pie minus the bourbon ice cream it normally has and it was delicious! My New York Cheesecake with Glazed Cherries and Sour Cherry Sorbet was good but I don't recall eating any sorbet and now that I look at the photo I think they forgot to put it on the plate! There was whip cream in with the cherries and pastry. After dinner Gwen and I joined Brent, SDGuy and Dan for some slot fun. 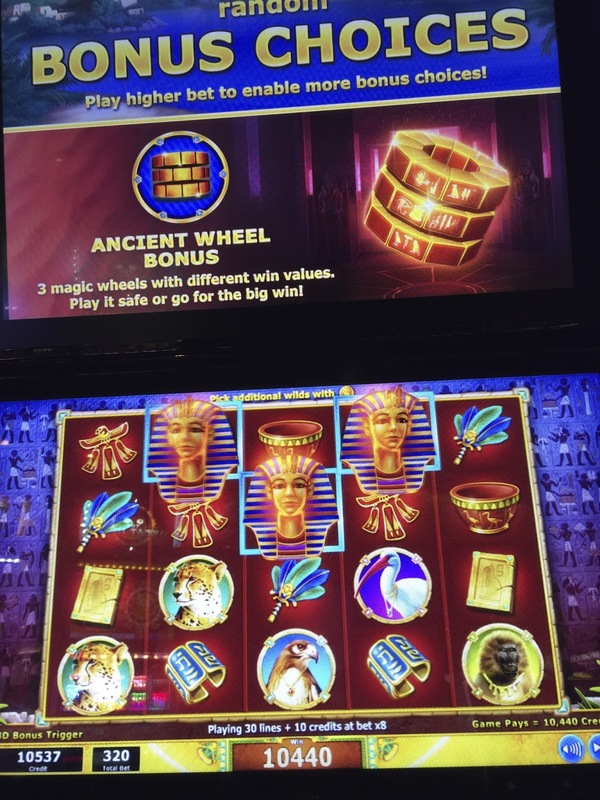 With Gwen cheering us on the guys and I did a Aria HL pull where we each put $500 in the slot of our choice with the goal of doubling our $500 or losing it. At the end of our four sessions we took what was won and split it four ways. Curious to see how we did, then visit the links to those videos below, they are in the order we played the HL Double or Nothing. After our HL pull Gwen left us to get some sleep, while the rest of us went slotting together. 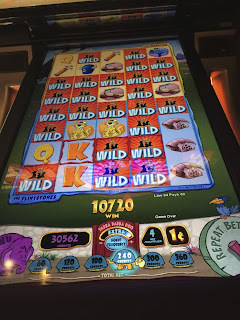 SDGuy and I pooled our money and played the slots together and divided our winnings. On some slots Dan and Brent joined us in pooling their money with ours. Our wins on five cent Monopoly Bonus City was with the group. Videos of these bonuses can be found on Brent's youtube channel at the link below if you are interested. 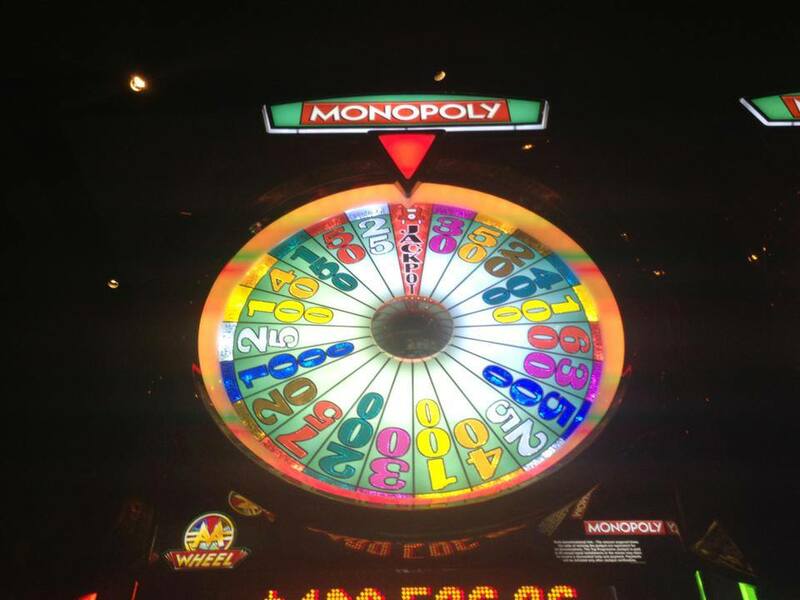 We had a great time and I just want to brag, err say that every time we hit the bonus on Bonus City it was on my spin! 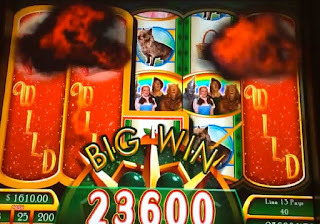 Brent, SDGuy and I played some five cent Winning Big 2 at Aria and had a fun bonus which is on my channel. Biff makes a surprise appearance, not once but twice in our bonus and for me if was the first time I've seen this. Brent and Dan at the Aria casino. 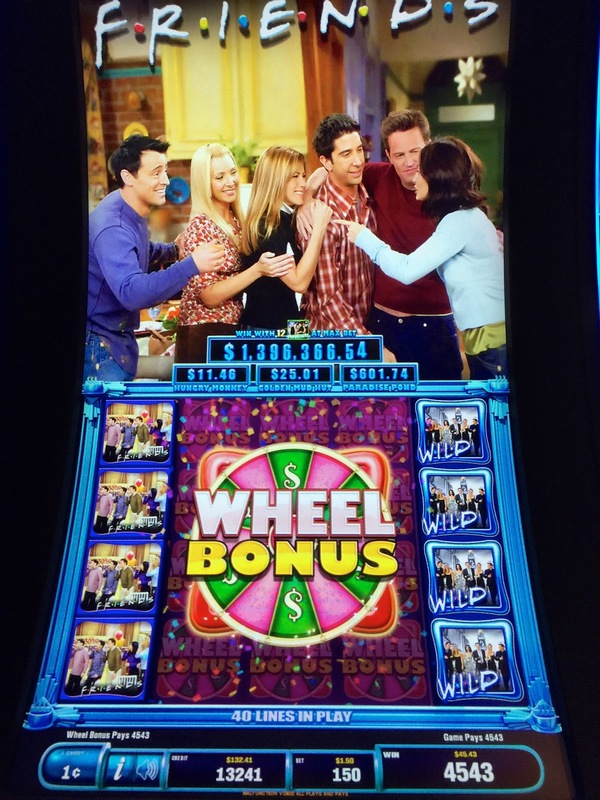 The real slot fun happened when all of us walked over to Monte Carlo to play. 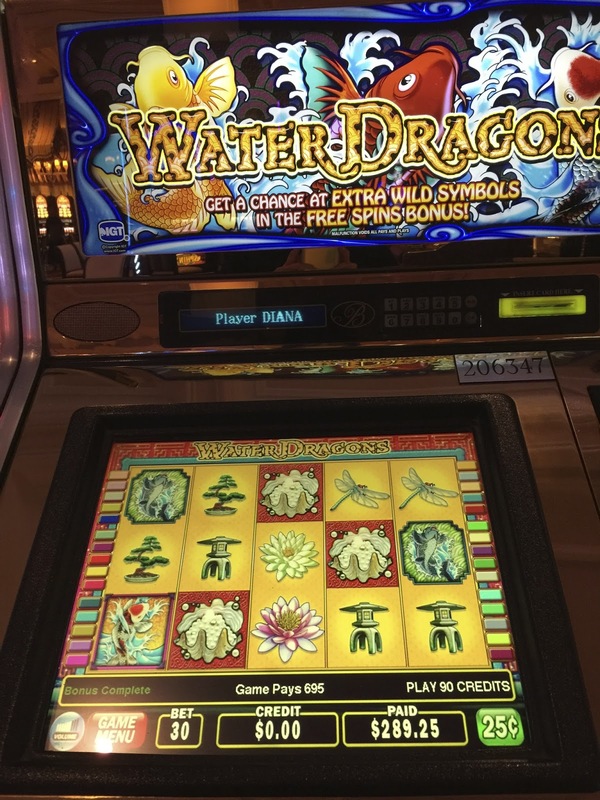 SDGuy and I played one of his favorite slots which is now one of mine too! 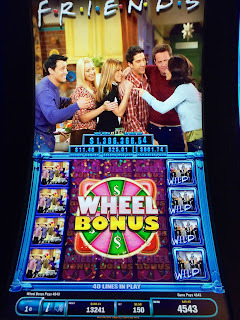 Dan was playing one of those slots that you can Buy the Bonus and Brent was hovering around between all of us and cheering SDGuy and me on when the Big Money Cheese Caper slot starting hitting! 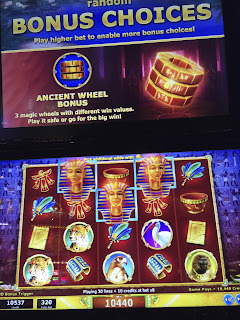 We had so many fun bonuses but never got to the end of the main bonus due to some sad picks, but we had some fantastic hits and before we knew it the $200.00 we had put in the slot was over $1800.00!! We have a really funny live play video of this session but if you want to watch it understand there's a lot of R rated language in it and if that offends you please skip it! The hand pay in the photo above is not a normal one. 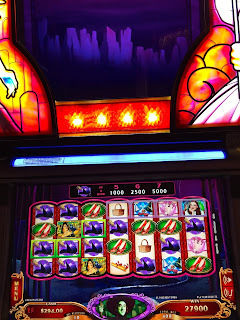 We slowly built up our wins, we didn't have one hit that was a handpay, but due to the age of this slot it requires a slot attendant to pay out once the cash out amount is a certain number, however we didn't get a tax form from her. 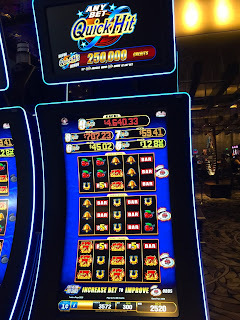 After that all four of us put money in Slotsky and had a couple fun bonuses on it, along with a few other slots before returning to Aria. Once back at Aria, SDGuy and Brent settled in at Ruby Slippers and I returned to playing Elton John, while Dan tried various slots nearby. I wasn't having much luck that session on Elton John and it was getting late so I decided to call it a night. As I was walking through the casino to get to the room elevators I passed by the High Limit room and I couldn't resist putting a $100 in my old favorite Davinci Diamonds just to take a few spins. 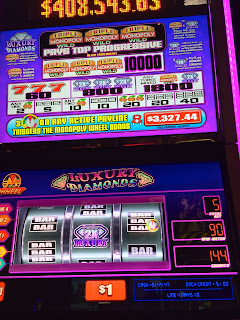 Turns out my timing was good as I hit for $510.00 around my 3rd spin! The next morning I woke up feeling like a winner and the day started out great with Gwen and me going to Mandarin Oriental's MOzen Bistro for their Sunday Brunch. 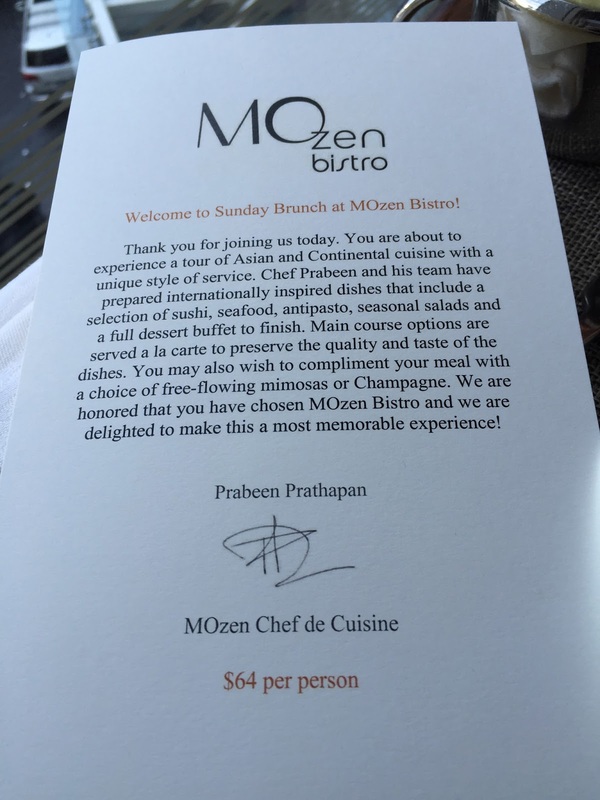 For photos of the Brunch and my opinions on it, click on the link below. After brunch Gwen and I went back to Aria where we played slots with Gwen holding her own and myself just losing at everything. One of the highlights of my afternoon was finally getting to meet Don (Zeus on JWE) and his partner Alan! Later I briefly saw Dan, SDGuy and Brent but their plans today revolved around going to MGM Grand as SDGuy was going to the Billboard Music Award show as he does each May in Vegas. Terri who lives in Las Vegas was meeting us for dinner tonight at Bellagio and we were all excited to try out the new Julian Serrano restaurant Lago that had opened the previous month. 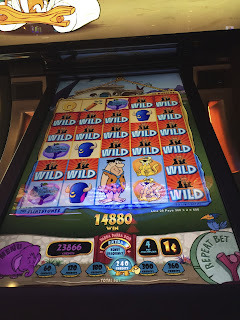 Before we went to eat there was time to play some slots at Bellagio but unfortunately my losing streak continued. Fortunately I started out the day 3k ahead from the previous evening so while I wasn't happy about just losing at every slot I touched I was able to shrug it off. 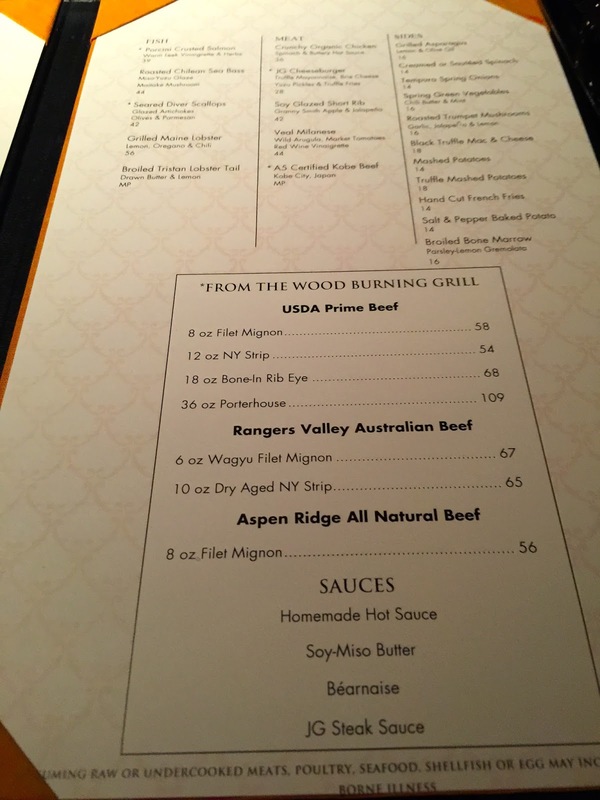 Lago turned out to be a great choice for dinner and since I had checked in with them 45 minutes before our reservation while we were still gambling outside of the restaurant I was able to request and get a fountain view table. 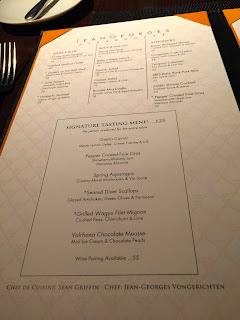 The link below has lots of food photos and my opinion of Lago! 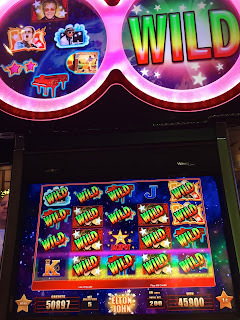 After dinner we played a few more slots with Terri at Bellagio before she left for home and Gwen and I returned to Aria, where yes, I continued to lose! Gwen on the other hand was doing well and wasn't losing her winnings. So where was SDGuy, Dan and Brent tonight? Well as previously mentioned they were at MGM Grand where Dan and Brent were waiting for SDGuy who had a date and was at the Billboard Music Award show. I know that after the music awards SDGuy and Brent went and played at various strip casinos while Dan I think ended up chatting away with the date! I on the other hand was still losing so I went to bed early before any of them returned to Aria. Next morning Gwen, Dan and I walked over to Cosmopolitan to eat at the Wicked Spoon Buffet. We were seated and had just gotten our first plate of food when SDGuy started texting and said he was joining us. Brent, wasn't answering texts so I assumed he was still sleeping. We took our time with that first plate so that we were just finishing it up when SDGuy joined us at our table. I think all of us enjoyed the brunch even Gwen who hadn't liked it last time she tried it a couple years ago. I've written up the brunch before but if you want to see additional photos of the set up, you can go to this link on the blog. Leaving the brunch and on our way to the Cosmopolitan casino. 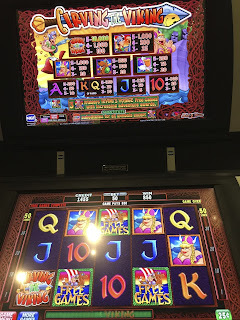 The four of us decided to play the Airplane slot and when we headed to the first couple Airplane slots we saw someone else was already playing them so we started to walk away but as we walked off we were recognized by the couple. In fact I think they said they were playing Airplane due to all the funny Airplane videos that SDGuy has uploaded. Here's a photo of Todd and Diana with Dan! 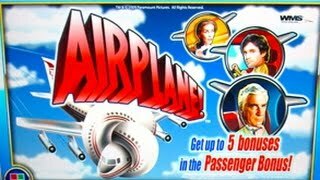 After leaving Todd and Diana playing Airplane and it looked like they were winning, the four of us went a few rows away to another Airplane slot where we each pooled our money and put in a hundred. This was Gwen's first time playing Airplane and what a ride it was! Nothing shows the fun and end result we had like the live play and very long video I made. 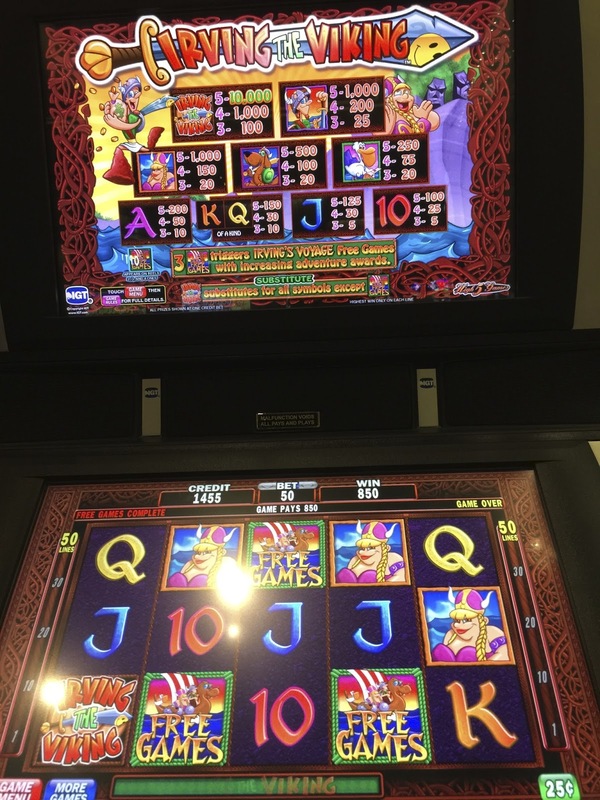 After Airplane we went to separate slots to play and both Dan and I ended up playing Flintstones. Such a funny slot by WMS, love the humor and outtakes to the old cartoon show. I had a couple good wins on this! After playing slots at Cosmopolitan for about 90 minutes or so we walked back to Aria. Gwen went up to her room for a bit, while Dan, Brent and me planned on doing our slot creators of the month contest entry which was on Genies Riches for May. Brent had just put a hundred in the slot when I noticed that my diamond watch a gift from Mother many years ago was missing! Everything stopped while I ran up to the room to see if I had left it there and hadn't been wearing it this morning though it was a long shot because I thought I remembered checking the time earlier on it. It wasn't in the room! I went back downstairs to tell the guys I lost it and ran into Ken (2armed bandit on JWE forum) who has just arrived in Vegas and apologized to him for being in a bad mood due to the watch. We walked over together to Genies Riches and the guys were no longer there! It was Ken who noticed a hundred was still in the slot and asked if it was mine, and I said no, but it must be Brent's. Ken stayed by Genies Riches to guard the money while I went in search of Brent and Dan who it ended up were watching SDGuy play slots. Brent was thankful to not lose his hundred and then the three of us had fun doing our videos for the contest together with Ken watching us. After the videos we went back to where SDGuy was playing slots and I told him my sad tale of woe and since this isn't the first time I have lost something valuable in Vegas he wasn't surprised. SDGuy insisted we walk back to Cosmo and look for my watch so we left Ken and Brent at Aria and Dan and him walked me over. We walked around briefly and looked in the areas we were playing slots and then made our way over to the security desk where the guard there asked me a lot of detailed questions about my watch before shocker, pulling it out and having me sign for it! I was thrilled to get my watch back and big thanks to the cocktail server who found it in the ladies restroom that I had visited before we left Cosmo the first time. I wanted to thank her but the guard wasn't allowed to give out her name and she had left for the day. Since we were back at Cosmo and Lucky Cat was now open we got our fortunes from the cat but I don't think any of us won anything but the fortune. 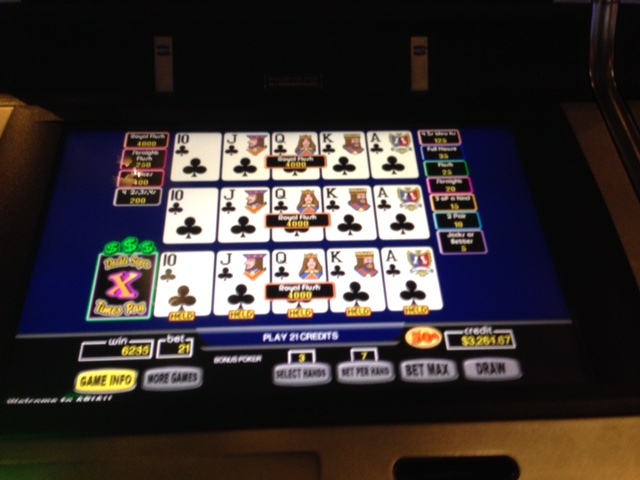 We also played a few more slots before we left with SDGuy getting his best hit on the Elton John slot there. Once back at Aria, unlike the previous day I was holding my own. Not really winning but staying even for the day and still playing on my winnings from the first night. 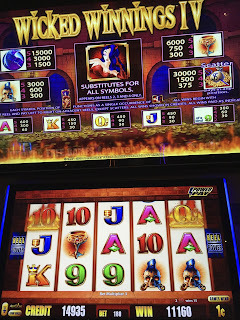 I can never resist trying my luck with Irving the Viking and while he gave me a couple decent hits and a bonus, I failed getting to the end of the bonus where I assume the big money win might happen! I can't stay away from the Elton John slot, if I'm walking by it, I'm stopping to play it! Usually the I'm still Standing Bonus doesn't pay much but I finally had a good one! It was soon time for dinner and since it was everyone's last night in Vegas except for Gwen who was staying over one more night, we all had dinner together at Julian Serrano. 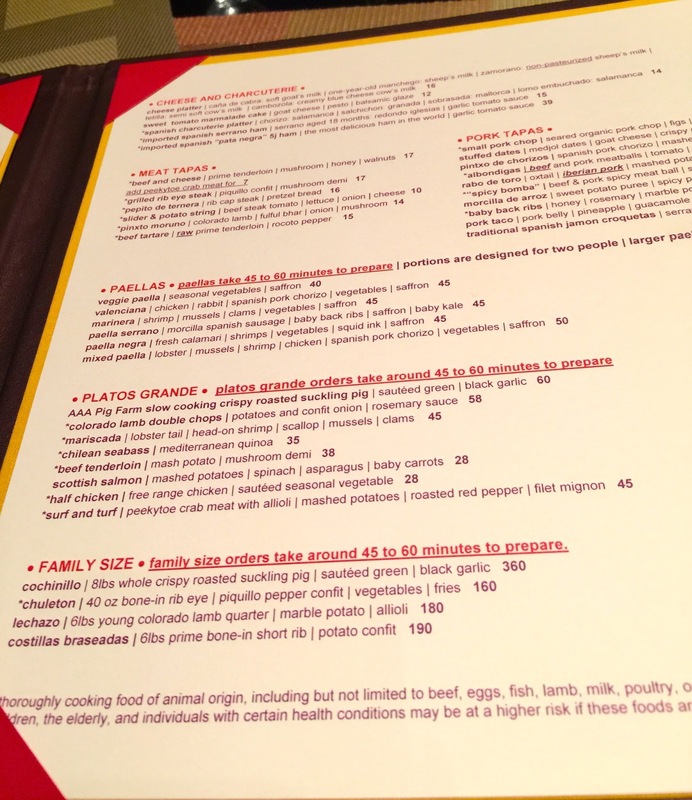 The menu is mainly Tapas but there are also some large plates and also some family size offerings! One of my favorite drinks, very spicy, but darn if I can remember the name of it. A piece of the Spanish Tortilla that Gwen ordered, this was very good! 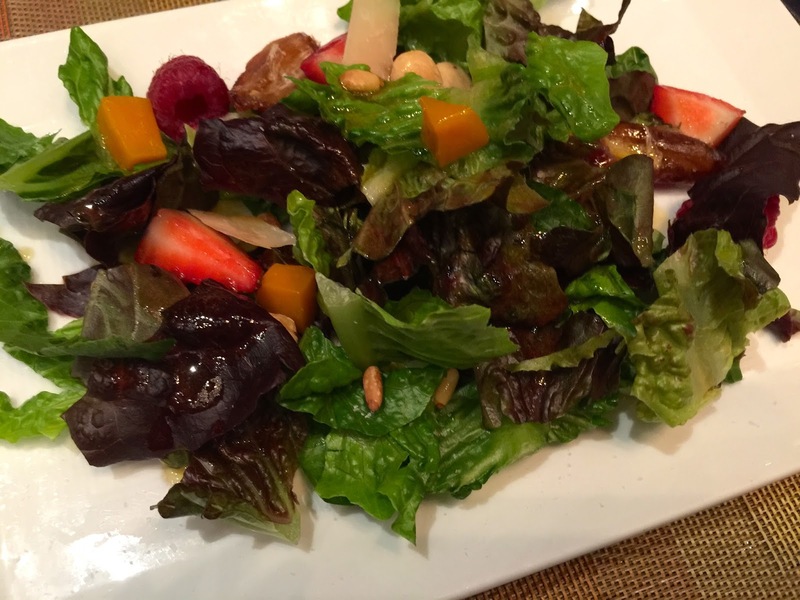 Mixed baby romaine salad with nuts, berries, dates & manchego cheese! Queso fresco cheese tomato pesto salad! Spicy bomba, beef and pork spicy meatballs! Goat cheese salad was nice. Beef and cheese prime tenderloin, mushroom, honey,and walnuts! Gambas, sautéed shrimp, garlic, brava sauce and arbol sauce! Really love this shrimp dish! The chicken coquettes were just average. Chilean sea bass, Mediterranean quinoa. I ate this and thought it was good. Fresh calamari a la plancha! Paella Serrano, morcilla Spanish sausage, baby back ribs, baby kale. Dan and SDGuy loved it! Flan de Turron-Almond Creme Custard with whipped cream! Best Creme Caramel I've had! Brent's Churros-fried Spanish pastries with spicy hot chocolate! 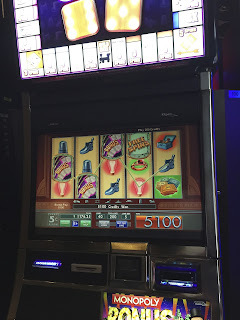 After dinner SDGuy went to play the community version of the new Hangover Pretty Awesome Slot and while recording a big win he had a security man tell him to stop recording. 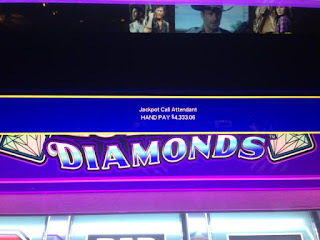 Since Aria officially allows recording of slot videos (no casino guests or random casino shots) SDGuy refused to stop and told security to go get a supervisor. Never saw that security person again but a supervisor did come by and apologized to SDGuy for the misunderstanding. The rest of us came in on the end of this but when we saw SDGuy's big win the guys and I ended up joining SDGuy in playing the new Hangover Pretty Awesome Slot with Gwen cheering us on. We had lots of fun bonuses together and for those who are curious here's a video of a couple of them. 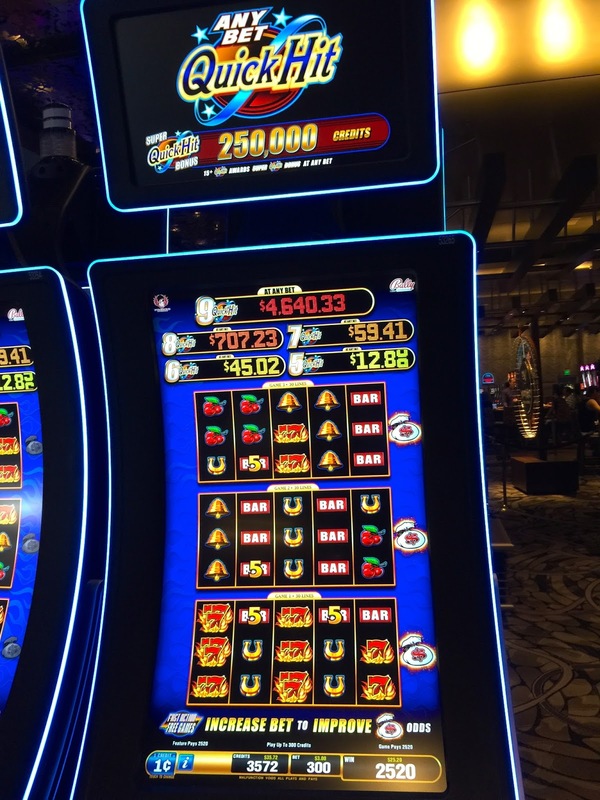 When we finished with Hangover all of us walked over to Bellagio to try our luck. 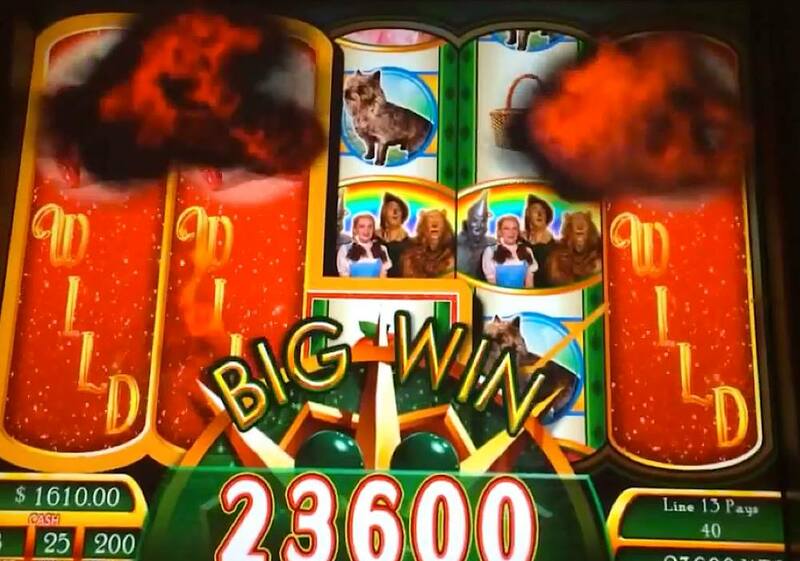 Once at Bellagio we decided to do one last group slot play for the trip and we each put $100 in five cent Ruby Slippers for a total of $500.00. We took turns spinning and the photo below hints about the win we had on Gwen's spin! To see the video of our Ruby Slippers group play go to this link on Brent's youtube channel! So where's all the winning photos from Bellagio? I didn't have any! SDGuy did great he was winning on the Can Can slot. Gwen who had been losing all day managed to get her 3rd Hand Pay on the trip on Video Poker while waiting for me to stop losing! Gwen's handpay was a happy ending to visiting the Bellagio casino so after that we decided to return to Aria. As we were walking back we passed the Bellagio Conservatory which was under construction but still interesting to watch! Once back at Aria I continued to lose until all my winnings from the trip were gone so I stopped gambling. The guys were also back from Bellagio at this time so I walked over to where they were playing slots and said a sad goodbye for this trip and went to bed. Next morning I saw Gwen before leaving for my morning flight but the guys were still sleeping. However there were many hilarious texts before my plane took off and after I landed. Fortunately I will see Gwen again during my July birthday trip and while it's possible it might be sooner I'll see SDGuy again for New Year's Eve in Vegas! Final results of the trip? Gwen went home with most of her winnings! I didn't lose any money this trip and I'm counting that as a win, since everything else was comped! The next trip is for 2 days in mid-June for the Summer Grazie Gift show and I'm staying at Palazzo. I will be leaving Las Vegas for Lake Tahoe after that to meet up with some friends from the JWE message board for a Meet that was planned around Goldengreeke's birthday. It's my first visit to Lake Tahoe so I'm looking forward to some beautiful scenery, a ride on the Tahoe Star and catching up with many friends! What a great trip report Diana! Glad you got your watch back! 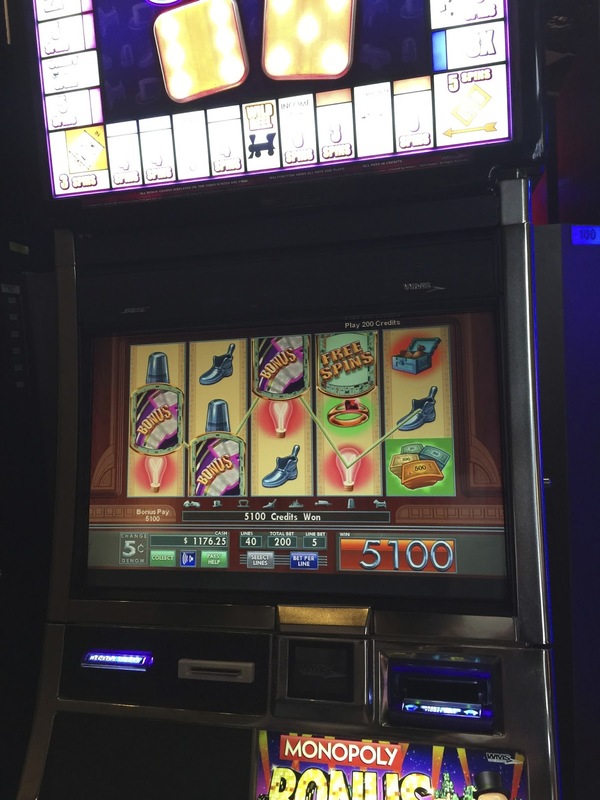 Have a great time in Vegas and Tahoe and win big! Thanks Tim, I'll do my best! Another fantastic TR, Diana! It was a pleasure to finally meet you. I really enjoyed meeting Gwen also! I am still bummed that the one time we do not stay at Aria is the time that you and the guys are staying there. Oh well, there will be other times. Good luck in Vegas and Tahoe! I am very envious of all of you going. Thanks Don, it was a pleasure to meet you too! I'm sorry I won't see you again this trip but I'm sure we will meet up again soon and hopefully when all are staying at Aria! Awesome trip Diana!! !..SOoooo glad you found your watch (nice waitress there at Cosmo).I def am planning a Sept trip as I got a great offer from Aria (G2E?) Have a great time and Tahoe!! Fantastic TR, Diana, and so happy you got your watch back --- that is one honest and awesome CW! TwoArmedBandito here. Always love reading your reports. Was so happy to meet you again. First time meeting Dan, Brent and Sdguy and it didn't dissapoint. See ya in Tahoe! I've stayed downtown once at Golden Nugget and it was nice. I usually go downtown once or twice a year for a few hours or half a day with friends. 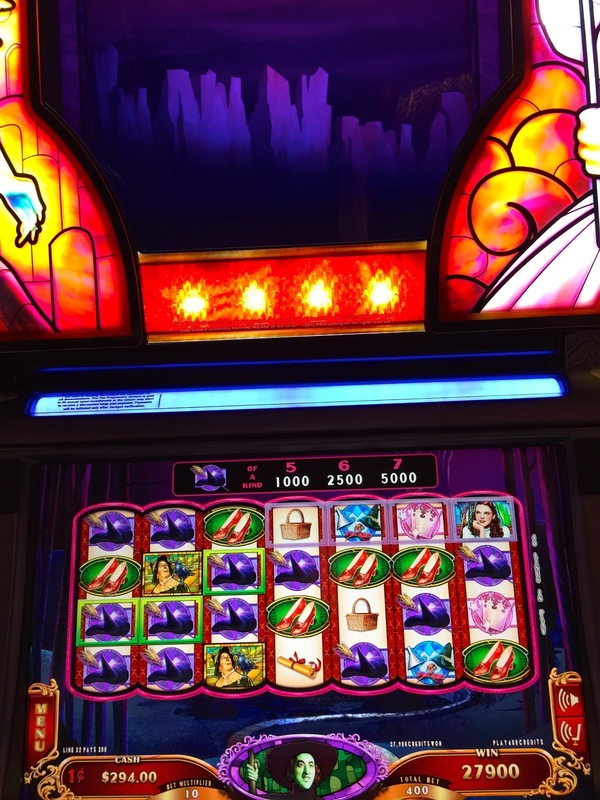 However, I have never won at any of the casinos downtown and since I overall prefer the strip to DT, I only go there when a group of friends want to. That's great you are able to visit Vegas once a year! Let me know in the future what your next dates are when you have them and perhaps I will be in Vegas the same time! If you spot me in Vegas during your trip please say hi. Usually I would set up a time to meet you if you wanted, but unfortunately with both friends and family in town this trip is very scheduled already for me. Have a great time, hope to run into you, and win lots! Oh wow!! That is great!! Hopefully we will run into each other :) Super excited!! Thank you so much and the same to you!! Theres's a possibility we might postpone our July Vegas trip depending on the healthy of a family member. Ask me again around July 7th and I'll let you know if we will still be going to Vegas in July. Hi Monika, I have a terrific birthday with friends and the trip with Mom and friends was lovely. Unfortunately gambling wise my luck was not in this trip though Mom did okay in that area. I'll be in Vegas starting September 27th so if perhaps you end up there around that time we will meet up! Thanks VWP, glad you enjoyed it. What a great trip! I wish we could have met up for a bit. It was so crazy with all the concerts (RiR both days and Neil Diamond) - we never made it to the Aria/Cosmo area. Happy early birthday! I'm going to miss you by a few days. I'll be at V/P (we have a room at each property) for July 4th weekend. Can't wait to read your next TR. Hi Mary, really sorry we missed each other but I understand how trips go in Vegas. One of these days we should meet up locally might be easier, LOL! Have a wonderful 4th of July weekend in Vegas, and I hope you win lots. I know you will have fun staying at V/P! Great trip report and I'm so glad you got your watch back. How do you get a fortune from the Luck Cat? We went to see it and got our picture with it but no mentioned getting a fortune from it? Hope you're recovering from your Tahoe sickness...you need to drink more alcohol to ward it off...lol!! Now we're planning next years trip! When Lucky Cat opens there should have been a employee who escorted you to it and had you hit the cat's paw which has a card shoot out and the card either gives you a fortune or a freebie like some free play, free buffet, etc...Of course it's possible they have recently stopped the fortune part of it. I'll check when I'm back at Cosmo next week with my Mom. I'm still sick but got some meds so I would be well for my birthday trip. LOL on drinking more alcohol to ward it off. I saw some of your trip on Facebook but looking forward to reading your report on TA and will go there in a few minutes to check it out. I hope next year our dates coincide would be great to see you both again! Thanks Jorge, I'm glad you enjoyed the trip report and love the vids! 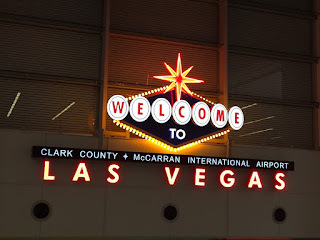 I hope you are able to schedule a trip to Vegas this year, it's such a fun vacation spot! We're not always in Vegas despite it looking like we are, LOL, so certain times of the year you are more likely to run into some of us there then other times. You can always ask us on youtube or post here if you want to know the dates of future trips I and others have scheduled. Nothing gets us quite in the Vegas spirit as much as your blogs and youtube videos. Hope to happen upon you at some point in the next six weeks if you're in town. Billy and Moyra, it's great to hear from you. So glad you are back in the states! I'm in Vegas starting Thursday July 9th until I leave on the 15th. Are you anywhere near the strip on those dates? If you have an account on Trip Advisor you can also reach me via a PM there on my account "evoni". Or you can also put personal contact information in a reply here as messages aren't made public until I approve them and I won't approve any that has personal contact info in them! This is off topic, but I read an older article you wrote about using your Grazie points to upgrade your Cosmo Identity level to gold. I have an mLife gold card. Do you think I could upgrade my Identity points with that? That was when Cosmopolitan first opened years ago and their Identity player's club was upgrading gamblers temporarily to a similar level at Cosmo from their current player's card with other casinos. They were looking for levels of Platinum with M-Life and Diamond with CET As far as I know they no longer do it even for those levels and I don't think they ever did it for Mlife gold level. Of course it never hurts to ask, but I don't think it will work. 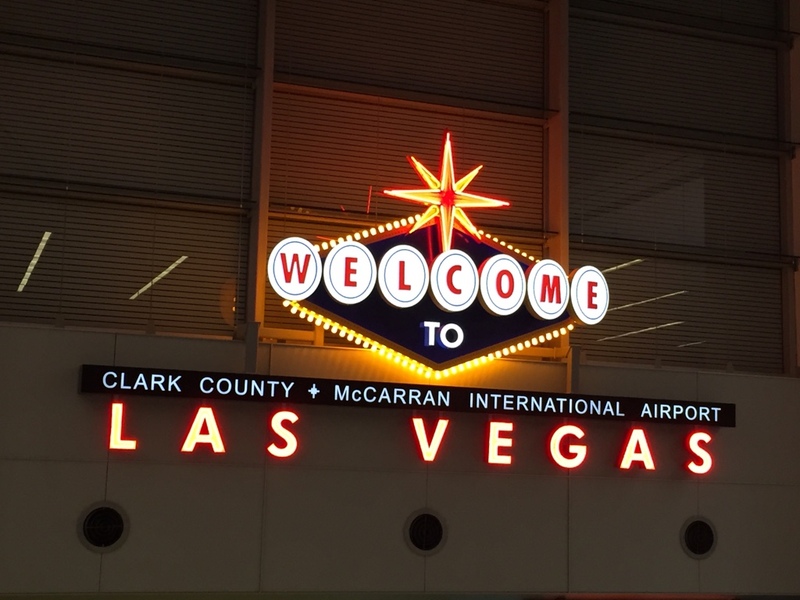 Have a good time in Vegas on your next trip!